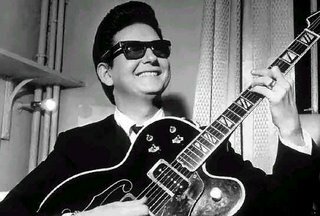 Roy Orbison - "It's Over"
"Your baby doesn't love you anymore. . .Your baby won't be near you anymore." Coming from most people's mouths, those lines would be utterly devastating. However, when Roy sings those lines in his quivering tenor, the delivery is most comforting. His voice was like a thousand bluebirds singing - a choir in and of himself. He was the original hopeless romantic loser and eternal underdog. His songs typically dealt with the pain and sorrow of being marginalized in love and life - but, mostly love. Roy's greatest gift was his ability to sing stories of unrequited and lost love that felt consoling instead of harrowing. No matter how sad his tales might get, the accompanying voice and melody always offered saving grace. In "It's Over," the lyrics paint an especially affecting portrait of a man being disposed of by the woman he cherishes. It's not the words alone that cause your emotions to stir - it's the way Roy delivers those words. You'd have to be dead to not be moved by the phrase "You won't be seeing rainbows anymore" when it trembles from his lips. Thankfully, this story is bolstered by a Spectoresque wall-of-sound: a gently strummed guitar, waltzy drumbeat, and sky-scraping string arrangement that swells like tear-filled eyes. Each chorus feels like the last with Roy's fluttering vocal melody gliding seamlessly with the strings into the crashing refrain of "It's over! It's over! It's over!" 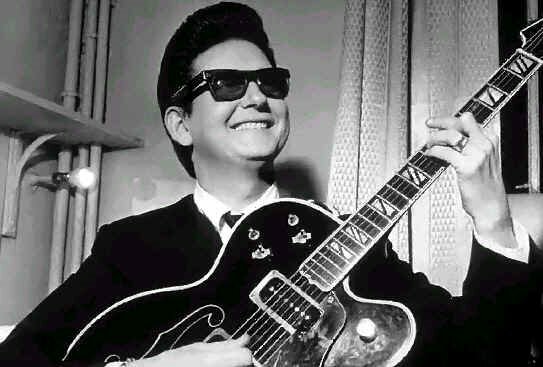 To me, Roy Orbison is the epitome of "timeless." This 42 year old song barely sounds dated and has lost absolutely none of it's emotional heft.